Home How many of you know about this fruit that has potential to destroy cancer? How many of you know about this fruit that has potential to destroy cancer? How many of you know about this fruit that has potential to destroy cancer? Guava is one of the cheapest fruits ever available in the market. Would you believe that a guava fruit has all the equivalent nutrients available in four apples? That's true. We did forget to promote our local fruit like apple. We are calling apple as "king of fruits" and treating like Bollywood star and selling in local stores. 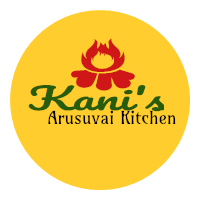 Our local guava fruit is very powerful than the apple which has wax applied and holding the sticker. 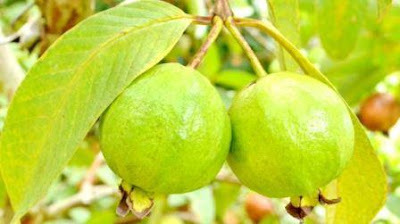 We can see the greatness of Guava. Diseases can be easily spread during the rainy season. If we have a guava daily, it will increase the immunity power in our body and prevent any diseases infecting to us. If you apply the ground guava leaves paste on the wound, it will cure faster. Guava leaves can help for the ulcer and tooth pain. Guava can reduce the sugar levels. If we feed a guava fruit for kids daily, their teeth and gums will get stronger. The root of the guava tree, the leaves and the bark are having medicinal properties. These are greatly help for the disorders of the bowel and stomach. It is found that if you continue to eat a raw guava, the amount of sugar in your blood will be reduced. The tea made from guava leaves cure cough, sour throat and cardiovascular diseases. Tea made from young guava leaves will control the fever. The affordable price guava has important bio-nutrients and mineral salts. Guava contains Vitamin B and Vitamin C. In addition, there are mineral salts such as calcium, phosphorus and iron. If you are suffering from constipation, have the guava to get rid off. If you bite and eat a whole guava instead cut pieces, teeth and gums will get strong. It will be a good mouth freshener as well. The guava has the ability to strengthen the digestive system. Eating this can strengthen the stomach, bowel, liver, spleen, etc. It also has the ability to kill the bacteria. If people with anemia eat the guava frequently, they may be able to get rid of from these diseases. It can be able to prevent cancer. Guava contains lycopene and carotenoids. These have been scientifically proven to prevent cancer syndromes. Do you understand our guava's glory friends?